I managed at last minute to snap a few pictures of these cupcakes and cookies I made before they left my hands. 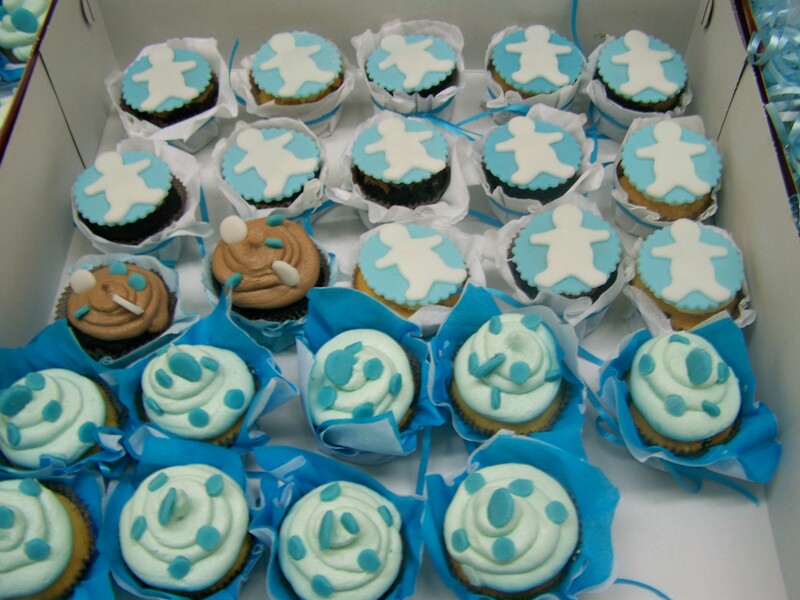 These cupcakes in chocolate and vanilla-almond flavours were decorated with blue and white little people and dots in different shades of blue and white for a baptism. They were offered at the church after the liturgy. I wish I had pictures of the setup that was made by “Comme il faut”, a local store that offers wedding and baptism planning as well as different items for the occasions. A store that is truly one of a kind in its nature with very elegant and original ideas. I’m glad to be part of their work as they promote and support my sweets. 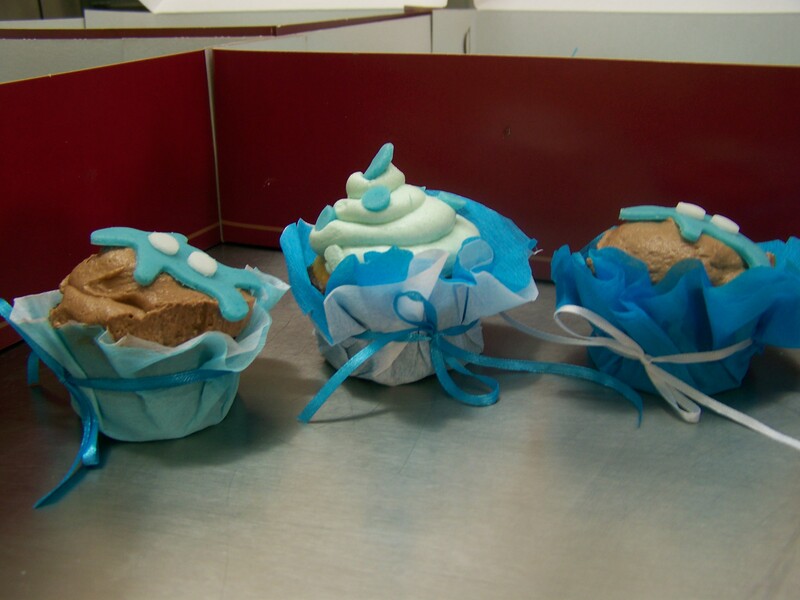 I individually wrapped each cupcake cases with crepe tissue paper in different shades of blue and white, tied with a ribbon. I think it added a nice touch. 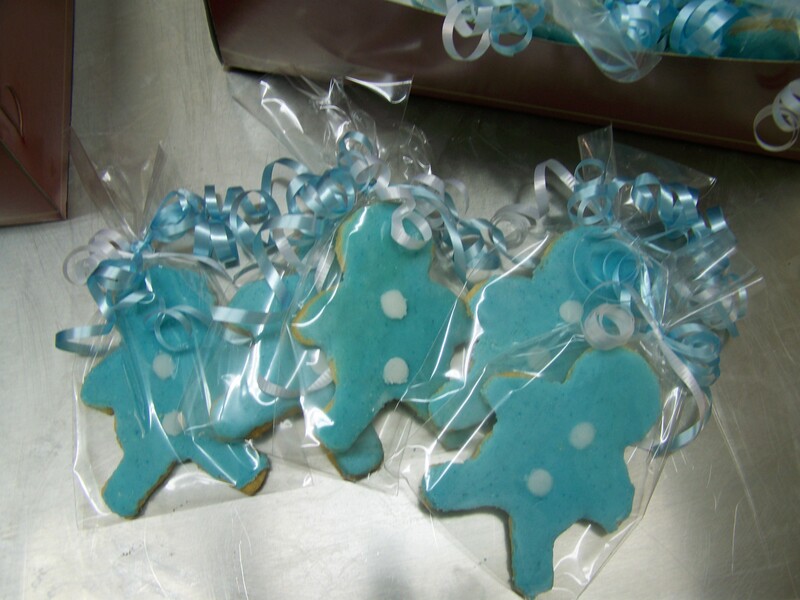 These were the cookies that accompanied the cupcakes. 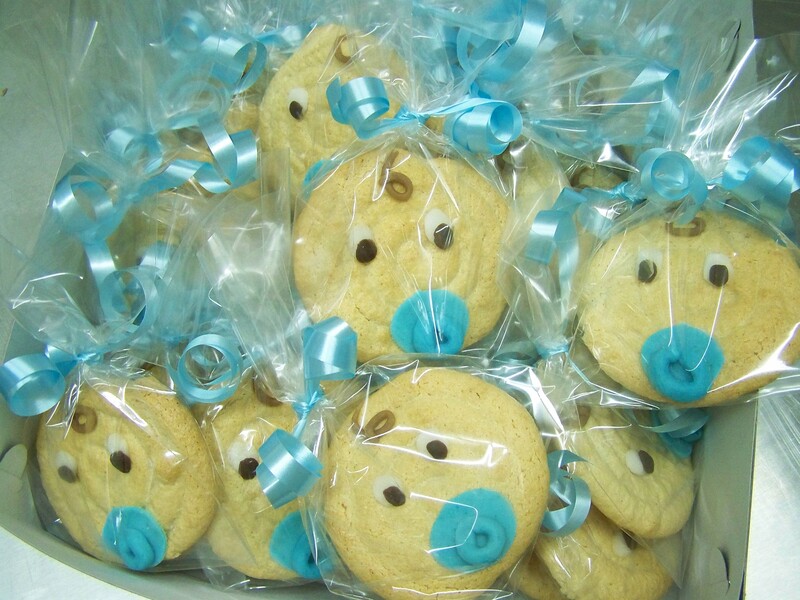 And finally, chewy almond cookies with a baby face decorated on them.